Connect with your innate ability to express yourself musically. Experience the aliveness that comes with playing music and sharing music with others. Get up and move! We put it all together in a finale of movement and song. Flutes available for you during the class. This workshop is best if you have some experience playing Native American style flutes. If you want a refresher (or intro) class – see below. 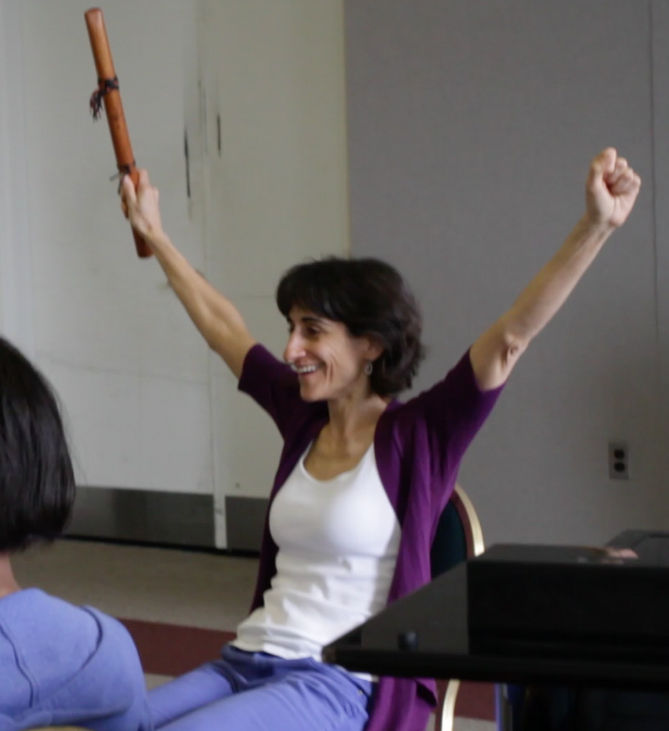 Special Review Classes – The 2-hour workshops are preceded by an introductory (or review) class, where we go over the basics of playing the Native American style flute. “Immersion” means to have the songs playing in the background as much as possible, creating a learning opportunity similar to the way a baby is immersed for months in hearing language before beginning to speak. You will have the opportunity to improvise and then recite a short meditation script (to be provided) or favorite poem. Bring a short, favorite poem. At home, you can use your recording to relax or as part of your meditation practice. “Be the Music” workshops include guided meditation, flute technique and musical concepts, group playing, movement and deep listening experiences to expand your understanding of music. The meditative atmosphere helps to quiet our minds, so our creative selves can be free to express themselves. Register here or contact Janet Bell, Registrar. Click here for info on ONGOING NATIVE FLUTE CIRCLES – to continue the journey! ERICA ALEXANDER, flutist and music educator, has taught flute in private and group settings for over 20 years. She has a Masters in Music Education (MME) and all-level music and Suzuki certifications. Marina Raye, Mary Youngblood and Carlos Nakai are among her Native American flute influences. Meditation is an important part of her life. She has studied with Jeff Brantley (director of the Mindfulness-based Stress Reduction Program at Duke), through the Insight Meditation Center in Barre, MA and, most recently, with Mary Love May at UNC. She leads workshops and flute circles on Native American-style flute. Her flute studio, Open Wings Flute School, offers private lessons which incorporate Suzuki method and meditation.